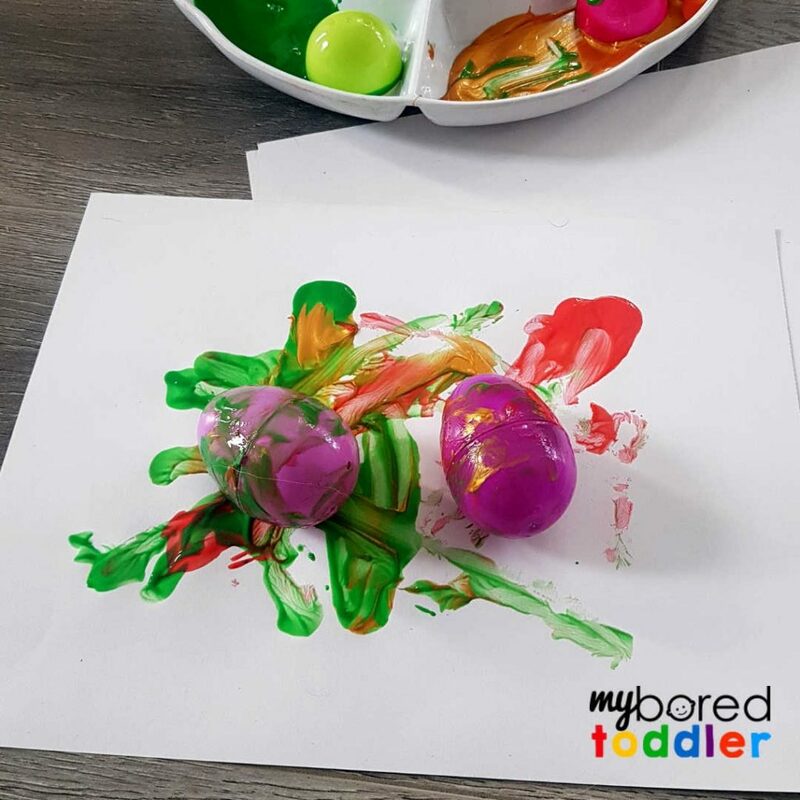 Ths plastic Easter egg printing craft for toddlers is a great way to make the most of those packets of plastic Easter eggs that are always on sale around Easter. 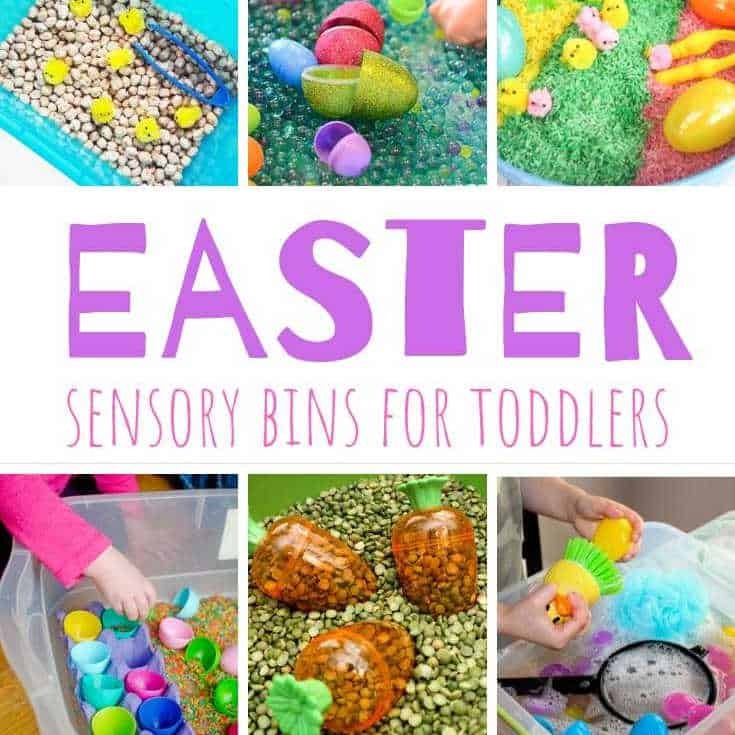 We use these in our Easter sensory bins, but printing with them is fun too! 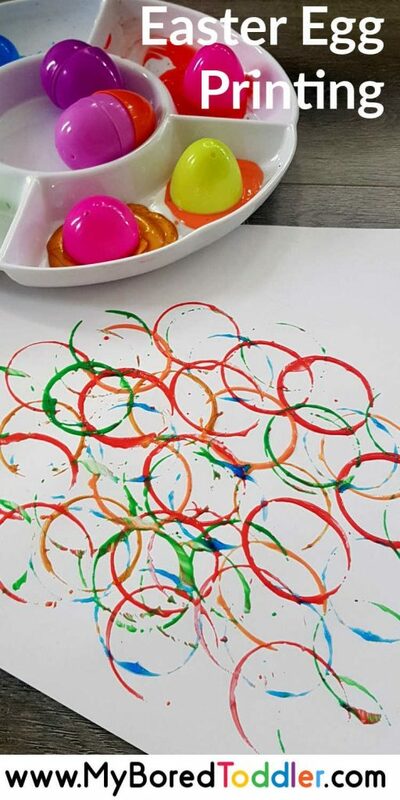 Painting with Easter eggs is definitely not an original activity idea. I remember doing this in the classroom many years ago. 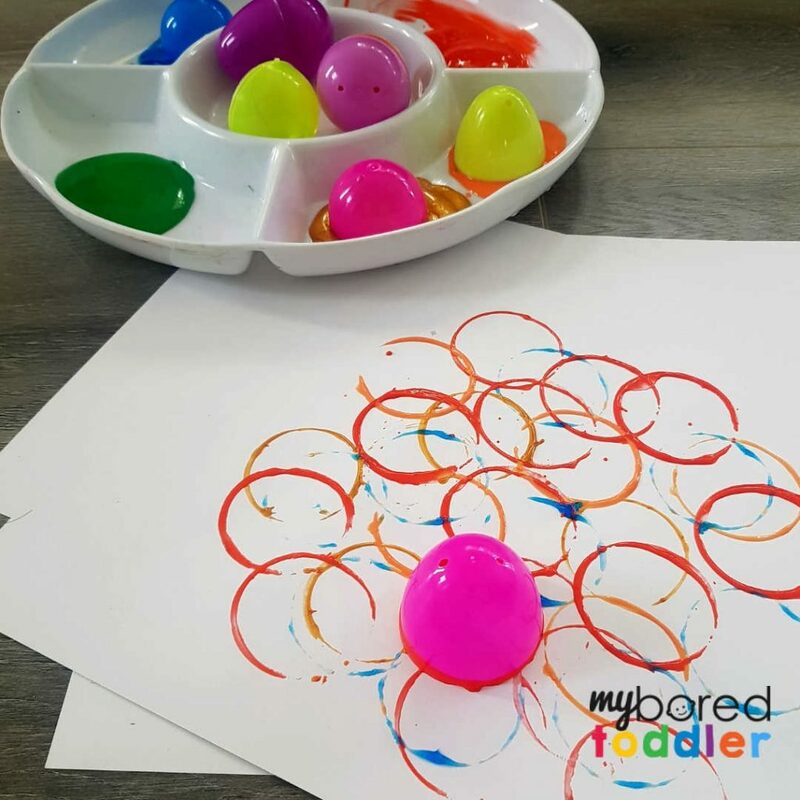 It was always a great Easter activity and the kids loved getting messy with the paint. 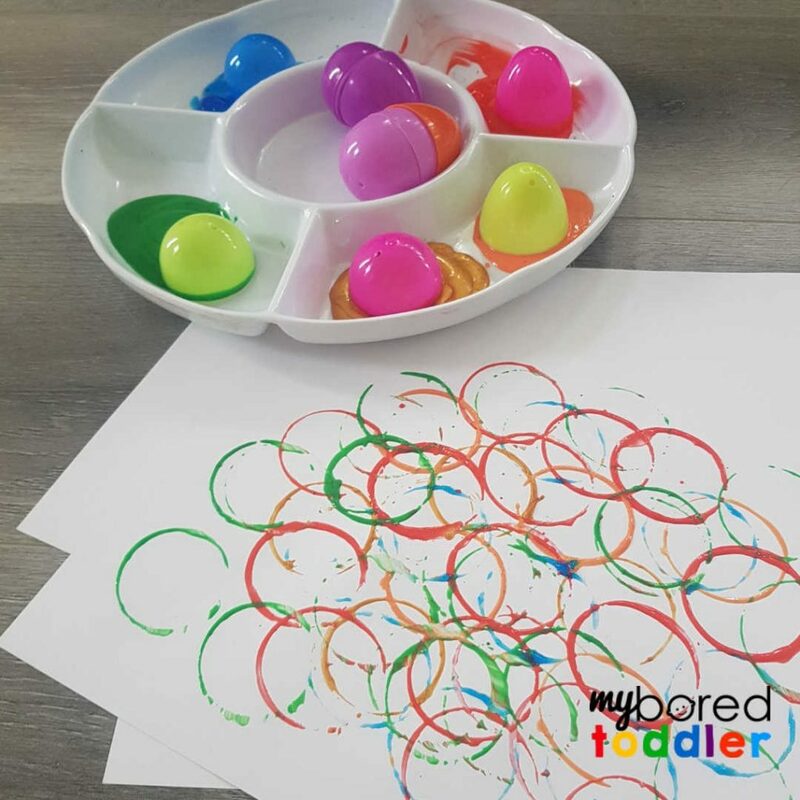 This is our day 3 activity for our FREE 7 day Easter Craft Challenge (join HERE) and in this Easter activity, we get the paints out and get a bit messy! 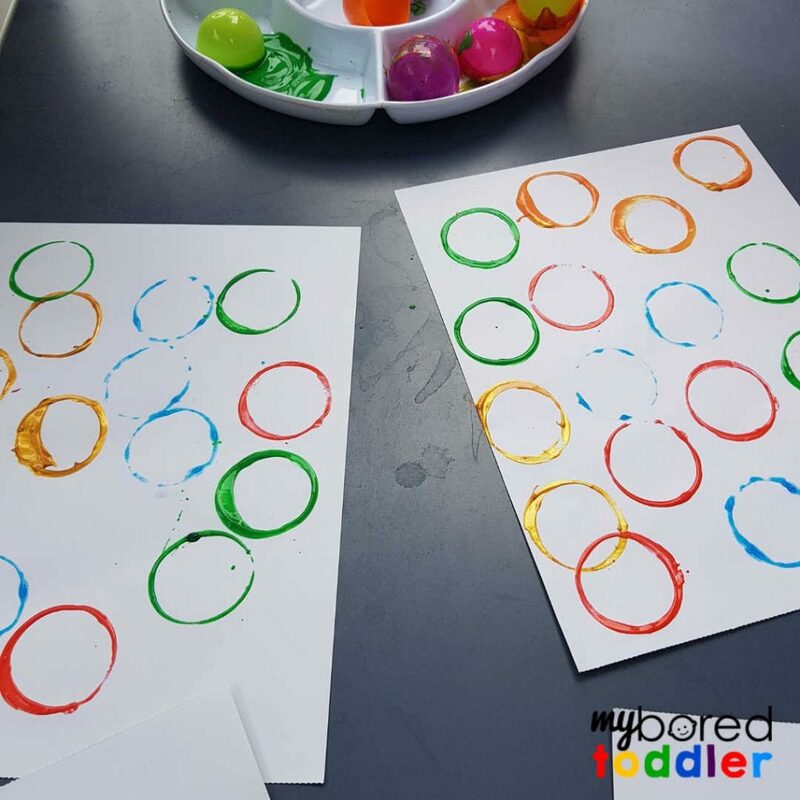 Washable poster paints – I recommend a pack like THESE. 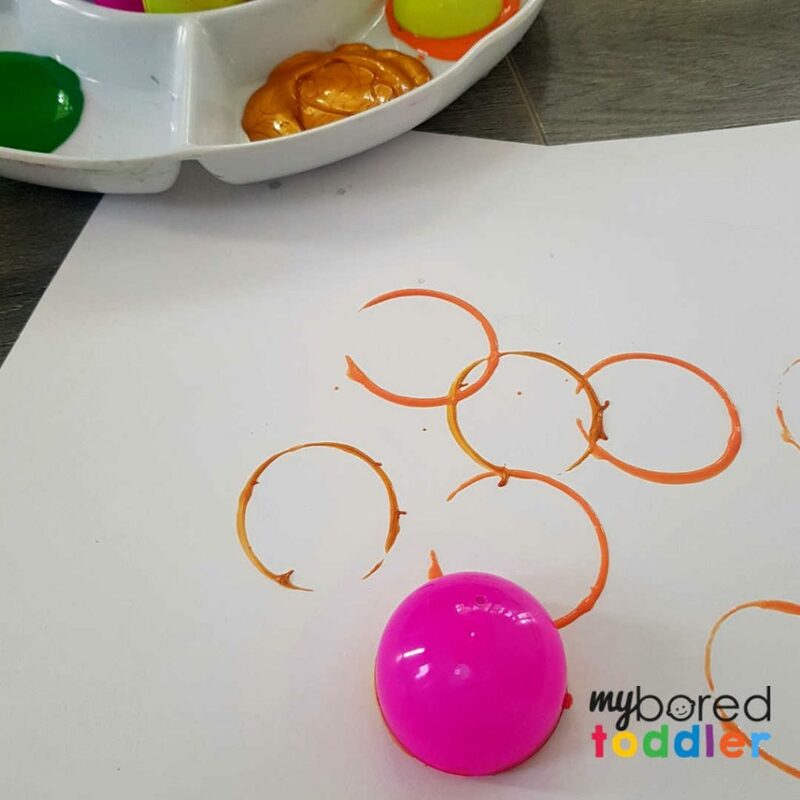 Add a variety of plastic easter eggs to your paint. It can be easier if you demonstrate first. I split the eggs in half and we started by printing with one egg and color at a time. Obviously with toddlers they might have a different plan! Let them go with it – it’s about the process rather than the end product. 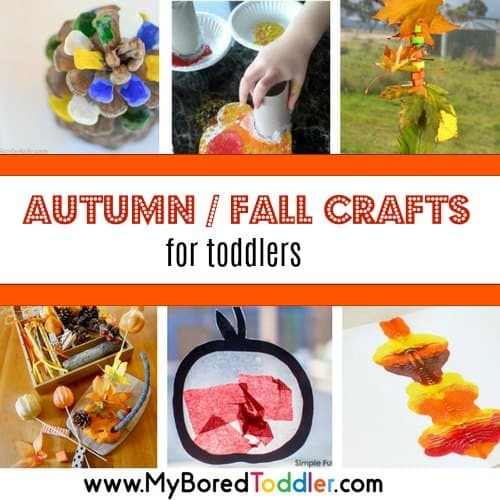 Use lots of different colors and see what patterns your toddler can make. 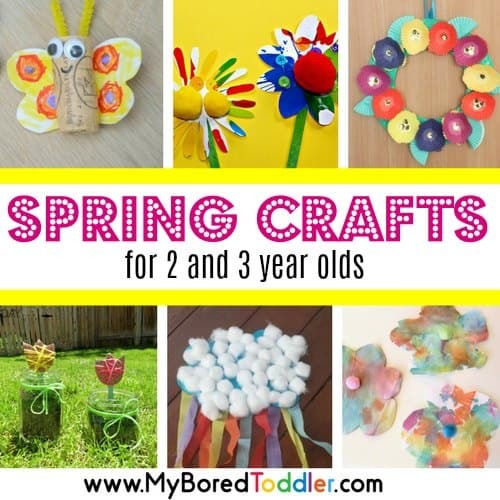 I did this with two kids and one overlapped all of the circles and th other one didn’t have any that overlapped. I love that they both chose a different way to work with the activity. Below are the ‘non touching’ cicles! If you want to mix up your painting use full Easter eggs and let them roll them around. This does get a lot messier, but if the paints are already out the chances are that it’s already messy! I hope your toddler enjoys this plastic Easter egg printing. If you try this activity I’d love to see some of your photos. 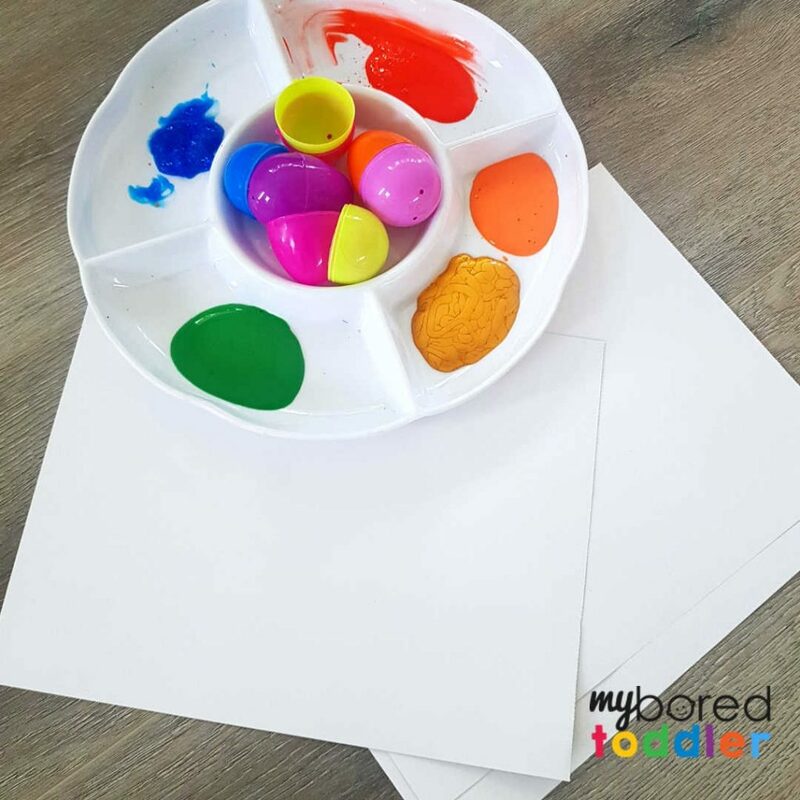 Share them in our Facebook group or on Instagram (tag @myboredtoddler and use #myboredtoddler).